Since launching THM some years ago, life has taken so many twists and turns. I am sure that if you could ask people like “Sparks” and “Hopeful,” they’ve traveled much road since their last moments of heartbreak written on these pages. They may have found life has filled the void once left by love’s absence, and maybe even in ways that they would not “trade” now. Mine is such a story. 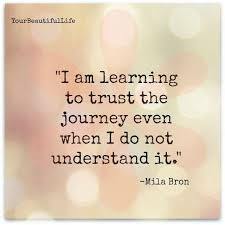 I would not trade my outcome, even knowing the pain, the heartbreak….the truth is, I am learning to trust this journey. I do know that it’s okay….not understanding. It’s okay to not have the answers. It’s been more than a year since I took a sabbatical from writing. I took time off of my graduate studies, my profession as an author and delayed the publication of a fiction series and two help titles…even the one based on THM. In that year, I’ve grown weaker then stronger – spent time in the hospital and surgery, battled my own neurological hell, and “decapitated” my dominant hand…now repaired, typing for the first time today. In the same year, I became a “new” mom again….we’ve a grand total of 8 children now. (Yes, I said 8. Four are at home, 4 grown….) Kat, Eli and Noah came to us from foster care, theoretically making them “adopted.” I know that there was a legal proceeding, I was there…but those are my children, through and through. In this, Brian and I have found our life is made complete…these kiddos, they’re my life, my heart, my being. But what of all that pain from losing the “soul deep” love of the man I called “Big”? What of this “lost love” that once haunted my waking moments and had me on the floor? I can’t imagine that world now, where he and I stayed together… where I hadn’t lost what I thought….in error, I add…..what I thought was love. I fought so hard to believe in he and I….and I nearly cost myself the reality of love as I know it. The funniest part of life is that it comes full circle, again and again. You will take the “trust test” more than once in your life. To trust the journey. To take a leap of faith and let go. I fund myself on that ledge again. Im struggling to hold on to something that isn’t mine, forcing the universe to keep a tie bound that’s already broken. It’s been coming for a long while. It’s that word again….goodbye. The YouTube ID of <iframe width=”560″ height=”315″ src=”//www.youtube.com/embed/sENM2wA_FTg” frameborder=”0″ allowfullscreen></iframe> is invalid. I let go of someone else today, one of those close and dear people that I love without reason, who is part of the very air that I breathe. You’ll have to pardon my lack of details, but this person deserves respect and dignity …and privacy. His life is not for public consumption. I chose to write here, while he does not. Suffice it to say that this person…he’s been my closest friend through the hardest times in my life, through neurology, surgery, adoption, loss, death…all of it. I can’t imagine what life will be like without my “adopted sibling,” and how very much this decision will hurt in the days to come. I’ve tried to walk away before, and I’ve never been able to. I hope that I make it this time. I really do, for both our sake. I hope that he looks back someday and thinks “that was worth it.” I’m not there just yet. Right now, I’m a hot mess of hurt. I cried for all I was worth, right between grilling steak for dinner and opening a bottle of wine. It’s not the first time this relationship, no matter how true, has brought me to the halls of pain. My tears blurred setting the table. Life went on like nothing happened. I am the only one that will miss him, or notice the absence losing this relationship, this friendship, this love… means to me. This huge moment will come and go, and nothing will really change but me. I think that is what bothers me…life just keeps marching on, and none of us, not a single one of us changes that. Maybe I am holding myself accountable. Why do people leave? Why does life change? Its in our strength that we realize change is part of the journey. For he and I, our lives have gone in different directions, and the process of rejoining with one another is both painful and awkward. It’s hard to say “we’ve outgrown the circumstances that brought us together. It’s over now.” But it is. It’s been the pink elephant in the room for so long, tainting all the happiness with the knowledge that “it’s over” whispers on the wind. How do you process these feeling? Name them? Accept them? Let them out? Yes. Here in the twilight of this change, I am just angry. With myself, my friend….I’m angry. There isn’t a reason or anyone to blame. Even if there was, nothing would change. Real truth? I don’t want to be that person I hear from my own voice in endless phone calls. I don’t want the weekends that seem like I’m divided between my children and myself. I don’t like the me that I’ve become, and I want to be myself again. I want to live truth. I want to be free. I wasn’t born to live that life. In the end, my journey doesn’t reside in that relationship. It’s not what I wanted….and it’s not part of the path that leads me to fulfilling my destiny, my dreams. Try saying that one out loud. How does this all tie together? Loving Big …that long ago person who sparked “How Do I let Go” … it taught me some really valuable lessons. I looked at the one remaining photo that I had in an old box I’d put away so very long ago as I cleaned my office to get ready for being back in here every day…in a year, I’ve not spent any real time in this place. I didn’t expect to feel much of anything as I sorted through this little shoe box of thing I hadn’t been able to throw away before. There was a bittersweet stab of knowing that smile I once loved…it was the smile of a person I don’t really know anymore. I can honestly say that he rarely crosses my mind…until today, I hadn’t thought of him for months…if not longer. He’s just someone that I used to know, if even that. It’s like a bad piece of pizza giving you food poisoning…you don’t remember the pizza, just the consequences. The lessons I learned, however….those remain. Like me, I am sure that he’s aged and changed. I am sure that I am a long forgotten part of a past he would choose not to relive. Just at that moment, my six year old son came barreling into the room for hugs and kisses, and as usual, the world immediately looked like a wonderful place to live…all because Noah smiled. Thank God for unanswered prayers….that was all I could think with this photo in one hand, and my son in the other. I was aware in that moment of “the journey.” You see, as I worked though my pain and found peace those years ago, my baby boy was born into a world of pain half a continent away. Had I gotten what I thought I wanted, Noah wouldn’t be here now. Nothing…nothing is worth that. I would gladly give my life for my child…living in a way that teaches my children to love and respect life is harder. The box made the trash can intact, and was carried out with remnants of dinner. There was not fanfare, no moments of clarity. It didn’t fight or make a fuss. Loving Big, loving my lost friend, taught me that I can survive anything, thrive through the storms and come out so much healthier. It taught me that it’s okay to be aware of my own place in the journey. I let myself feel the pain today – tomorrow, I will take on refashioning my life to be the healthiest it can be……again. Is that the point then? Live, laugh, cry, recover? Will life always be this subtle nuance between crescendo and silence? Is it my destiny that I am at war with? Trust the journey, I tell myself. No answers echo in the silence. All I hear is my need to breathe in an out, to type these words and to make tomorrow count….just my own heart beat. Can you hear the pain? Letting go was the healthiest choice for us both. In the end, that is how you let go….not by trying to ignore the pain, but by allowing yourself to live, grieve, be and move. Mine…and yours….its worth everything you make of it. Blessings, loved ones. It’s good to be back among you…..I have so much to tell you, so much that I have learned in the century compressed into the last year.